NB Hotel Restaurant every morning serves tasty and varied breakfast, to start your day perfect. 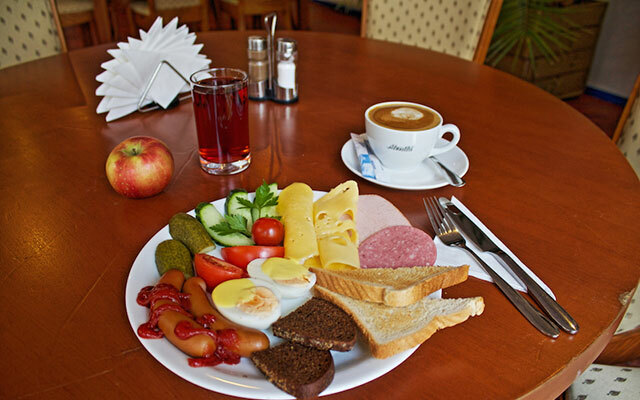 Price for a breakfast buffet is 7,00 EUR/ person, which is included to the room price. We offer early breakfast upon request. For additional price 5,00 EUR we can serve breakfast to your room upon request.